Paulo J. Nogueira D.M.D., M.S.D. Dr. N is a member of the American Association of Orthodontists, the American Dental Association, the Massachusetts Dental Society, Omicron Kappa Upsilon Dental Honor Society and an associate editor of the Orthodontic CYBERJournal. He completed his undergraduate degree from Clark University in Worcester, MA where he majored in Psychology and double minored in Chemistry and Biology. He went on to Boston University where he spent four years completing his Doctorate of Medical Dentistry (DMD) degree. After dental school, he spent a year at B.U. in a residency program honing his dental skills as a general dentist and earning his Advanced Education in Graduate Dentistry (AEGD) degree. During his residency, he became interested in the science of tooth movement and spent a year in Oral Biology earning a Master of Science in Dentistry (MSD) degree researching how bone relates to tooth movement. Convinced he loved orthodontics; he spent two more years of training at B.U. and earned his Orthodontic Specialty Degree. After twelve years of formal dental education, Dr. N. is still fascinated by the dental field and is especially interested in dental technology. He keeps informed of the lates research by consulting with dental technology companies and attending numerous conferences and continuing education classes. Dr. N loves teaching and has volunteered his time teaching the orthodontic residents at Boston University. Teaching the residents demands that he keep informed of the latest clinical techniques and orthodontic research. 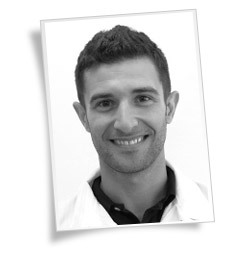 Dr. N was originally born in Lisbon, Portugal and moved to the United States when he was 5 years old. Fluent in both Portuguese and Spanish, he was raised in Reading, MA. He has lived in New England most of his life and now resides in North Attleboro with his wife Jennifer and daughters Emma, Sarah and Elizabeth. Jose D. Pereira D.M.D., M.S.D. Dr. P was born and raised in Newark, NJ. 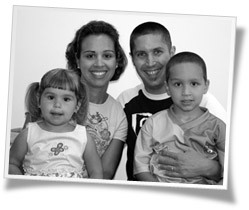 He is first-generation Portuguese-American, and the youngest of two children. He currently lives in South Attleboro with his wife Cathy, son Aidan, daughter Marissa and pug Harleigh. He went to college at Rutgers University-Newark College of Arts and Science, where he received his Bachelor of Arts in Chemistry and minored in Biology. He then went on to earn his D.M.D. from New Jersey Dental School. Dr. P. knew that he wanted to devote his care to children, so he moved out to Iowa for two years to attend the Pediatric Dentistry Program at the University of Iowa Dental School. During this time, Dr. P. also spent 1 ½ months working for the Indian Health Service on reservations in Arizona and New Mexico. Dr. P. received his Certificate in Pediatric Dentistry and Master of Science in Dentistry in June 1997. Dr. P. joined Pediatric Dental Healthcare in August 1997, and continues to love the challenges presented by his Specialty. Dr. P. is a member of the American Academy of Pediatric Dentistry, the American Society of Dentistry for Children, the American Dental Society, the Massachusetts Dental Society, and the Massachusetts Society of Pediatric Dentistry. 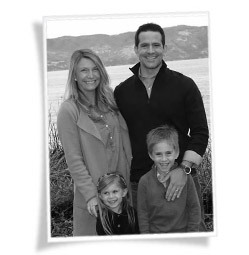 Dr. DeSimini was born and raised in Lakeport, CA, a very small town just north of the Napa Valley. She graduated from the University of California, Santa Barbara with a B.S. in Biological Sciences. She continued on to receive her DMD at Tufts University School of Dental Medicine. While in dental school Dr. DeSimini participated in multiple community outreach programs and was selected to travel to Nicaragua on a dental mission trip with the non-profit organization Bridges to Community. After her first rotation through pediatrics Dr. DeSimini knew that this was what she wanted to devote her career to so she continued on to earn her certificate in Pediatric Dentistry at Tufts University. In 2009, Dr. DeSimini was awarded the Richard C. Pugh Achievement Award for scoring in the top 3% in the nation on her Pediatric Dental Board Qualifying Exam. 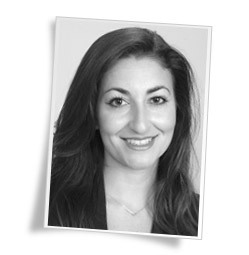 She is a board certified Diplomate of the American Board of Pediatric Dentistry. She is a member of the AAPD, Massachusetts Dental Society, American Dental Association and Massachusetts Association of Pediatric Dentistry. 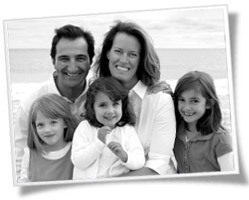 Dr. DeSimini currently lives in Boston with her husband Sabino and two children Luca and Anna. She enjoys reading, cooking, traveling, and making trips home to visit her family in California. Dr. Derek was born and raised in Cumberland, RI. He attended Providence College where he graduated with a B.S. in Biology and was a member of the men's soccer team. Following graduation, Dr. Derek worked at Brown University as a research assistant for two years before deciding to pursue his dental education at Tufts University in Boston, MA. While in dental school, he served as Class Secretary, was a member of the Hispanic Dental Association, and acted as co-leader of the Tufts AAPD Pre-Doctoral Chapter. He continued to participate in scientific research during dental school and was a member of the Robert R. Andrews Research Honor Society. During his third year in dental school, Dr. Derek completed a five-week externship at the pediatric dental clinic at St. Joseph Hospital for Specialty Care in Providence, RI where his passion for working with children was confirmed. Dr. Derek completed his two-year Advanced Education in Pediatric Dentistry at Lutheran Medical Center - St. Joseph Hospital for Specialty Care, where he worked closely with the Craniofacial Team at Hasbro Children's Hospital. Dr. Derek currently remains as the pediatric dentist on the Hasbro Craniofacial Team and is an Attending dentist at St. Joseph Hospital. He is a board-eligible Diplomate of the American Board of Pediatric Dentistry. He is also a member of the American Academy of Pediatric Dentistry, American Dental Association, American Cleft Palate – Craniofacial Association, Massachusetts Dental Society, and Rhode Island Dental Association. Dr. Derek currently lives in Boston with his wife Janelle and daughter Celia. He enjoys playing and watching sports (especially soccer), reading, listening to music, running, and experiencing all that Boston has to offer. Dr. A was born and raised in Lincoln, RI. She is the youngest of six children. She attended Providence College, where she majored in Biology and minored in English. Prior to her dental school matriculation, Dr. A spent time during her senior year at PC shadowing several dentists and found herself most impressed by the Pediatric specialty, with the hopes of one day materializing her dream to become a Pediatric Dentist. She received her D.M.D. from Tufts University. While there, she served as Board President of the AAPD: Tufts Chapter, co-investigator in pediatric dental research, predoctoral clinical teaching assistant, and participated in multiple community outreach programs. Dr. A completed her Pediatric Dental residency at Boston University, where she received her Certificate in Advanced Graduate Studies. Dr. A is a board certified Diplomate of the American Board of Pediatric Dentistry. She is a member of the American Academy of Pediatric Dentistry, American Dental Association, Massachusetts Dental Society, and Rhode Island Dental Association. Dr. A currently lives in Rhode Island. She enjoys reading, writing, playing tennis, spending time with her husband and family and aspires to one day write a children’s book.